CALIGOLD is strain specific, triple lab tested for consistency and contains natural cannabis terpenes. 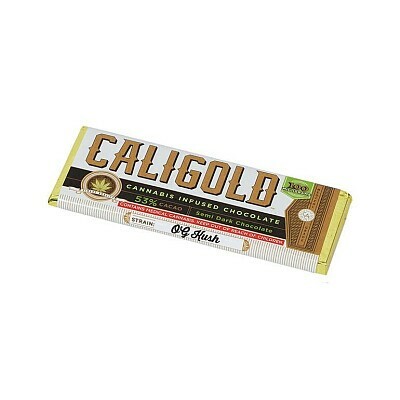 The medicinal effect you get from consuming CALIGOLD is from cannabinoids combined with terpenes. Try our different strains, Sour Diesel, OG Kush, and AC/DC to see if you notice a different effect. Eat one square and wait two hours before you eat more.